The rigid body component adds physics properties, such as mass and velocity, to the entity. The component will simulate physics for the component and set the position and orientation of the entity accordingly. Mass – The mass of the body. 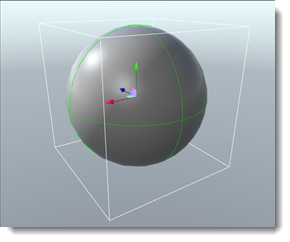 Kinematic – Make the rigid body kinematic instead of dynamic. A dynamic body is affected by external forces such as gravity. Kinematic bodies do not fall or react when hit. Velocity – The initial linear velocity of the body. Linear drag – Resistance of the body to linear movement, between 0 and 1. Angular drag – Resistance of the body to angular movement, between 0 and 1. If you add a collider component to the entity, the collider is used for rigid body collision, with the center of mass being at the same location as the rigid body. Adding a single collider component and a rigid body component on the same entity is a bit limited. The collider will always be centered in the entity and you cannot move it. The solution is to put it on an entity below the rigid body component in the hierarchy. This lets you move the collider or use multiple colliders. 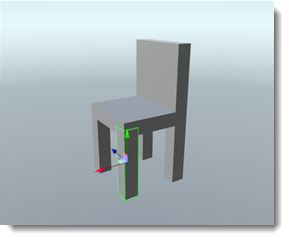 So if you'd like to make a chair consisting out of six colliders (four legs + back rest + seat), you first create a root entity with a rigid body component. Then you create six entities with box collider components and put them as children of the root entity. Scale and position them correctly, and you're done.